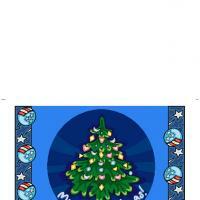 These free printable cards have five Christmas trees and a Season's greetings message on the center. It's a very simple but classy Christmas card that is perfect to send to friends or colleagues at work. 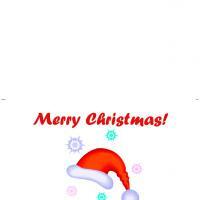 Just add your special Christmas message, have a little fun with it and then print it off with no cost. These printable Christmas cards are just what you need to make the holidays both easier and still friendly. Be festive and patriotic at the same time with these specially made cards. Easy to download and easy to use. Enjoy the season with our free printables today! We are always busy throughout the year. So we should never miss a chance to tell the people we love that we are thinking of them during the holidays. Using our free printable cards such as the Christmas Tree Greeting Christmas Card is a great way to warm up the holiday season. Whether you decide to send one card or a hundred, you can choose from our holiday cards with trees, snowmen, ribbons, Santas, ornaments, and other festive eye catchers. Try our free printable cards today, and you won't be sorry when it comes time to celebrate. When you are thinking about the holidays, you start planning ahead for the kinds of cards you want to send. 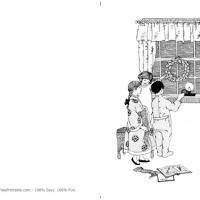 This year consider using the free printable cards from our site. 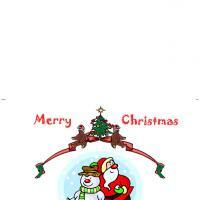 This Christmas Tree Greeting Christmas Card is a great place to start. These holiday cards are fantastic projects for your kids. Instead of buying a box of standard cards that are all the same, you can scroll through our collection and find just the right card for each person on your list. Use our cards to make your custom impression today!